Are you looking for a credible dentist in castle hill NSW? Doctors suggest that you must get at least one annual check-up with a dentist to ensure the best of oral hygiene. Now, there is no dearth of dentists or dental clinics in Castle Hill but then you certainly cannot rely on all of them. Your dentist is somebody to whom you would be taking your entire family, including your kids. So, it’s wiser to ensure that your chosen dental clinic is something that you would be able to recommend to others as well. Here are some tips that you should keep in mind while choosing your dental clinic. The dental clinic that you choose must be armed with a host of seasoned dentists and knowledgeable staff. We work with certified dentists only and hence you can always be sure of an expert treatment here. Our experienced professionals are well aware of all the dental issues, be it wisdom tooth or dental implant or stained teeth- and can help you with all the needed solutions. Every patient demands individualized solution and there is no one-size-fits-all here. Thus, we always proceed with a thorough check-up of every patient before we start the treatment so that you can benefit for a customized treatment, tailored especially for you. 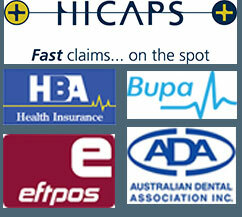 The best dentist in castle hill NSW will always assure a comfortable and pain-free treatment for the patients. We use cutting edge tools and the utmost care to ensure pain-free dental treatment for you and your entire family. Dental emergencies do not mind business hours and can pop up anytime. Thus, we are always ready to attend you round the clock with our caring and dedicated 24/7 emergency dental treatment.